As increasing regulatory and scientific complexities threaten R&D productivity, you need a partner with scientific competence, regulatory expertise and capacity to meet demanding timelines via tailored solutions. Q2 Solutions offers complete bioanalytical and ADME laboratory services for testing around the globe and across the product development spectrum. We combine knowledge from the collective services provided by our central labs, bioanalytical and ADME labs network, as well as integration into global early clinical Phase I unit. The result is timely, high-quality, regulatory compliant data that supplies the insights you need to make more informed decisions and instill confidence in your regulatory filings. Liquid chromatography–mass spectrometry (LC/MS) and ImmunoAffinity-LC/MS services for the quantitative determination of small molecule, peptide and macromolecule therapeutics in support of pharmacokinetic (PK) studies. See our methods list. In vitro ADME assays and metabolite identification services, including permeability, metabolic stability, metabolite identification (cold & radiolabeled), and drug-drug interaction risk assessment, ranging from highly automated discovery screening platforms to definitive development studies that enable regulatory submission. See our assay and service list. Immunoassay services, including quantitative determination of large molecule therapeutics using ligand binding technologies in support of pharmacokinetic (PK) studies and immunogenicity assessments for pre-clinical and clinical studies including screen, confirmation, titer, neutralizing and isotyping assays. See our methods list. 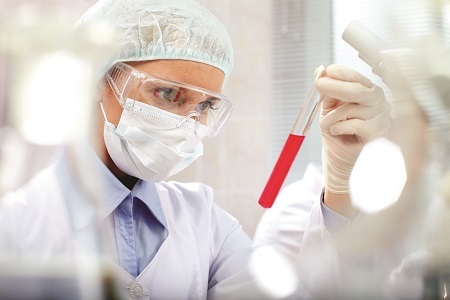 Fit-for-purpose biomarker services, including quantitative determination of discovery, pre-clinical and clinical biomarkers using LC/MS, Immunoaffinity-LC/MS, and ligand binding techniques. See our methods list. At Q2 Solutions we implement proactive quality measures and strict quality standards, proven logistics tools, and sample management and supply chain solutions delivered through our global network footprint at competitive prices with premium service. Rigorous scientific and quality assurance reviews help to ensure the validity of reported data. Our clinical lab testing services are compliant with FDA, OECD and MHLW GLP regulations. Beyond our deep scientific expertise we understand the need for customer centric project management. At Q2 Solutions our tailored solutions are not limited to our technical offerings but also support the overall project delivery and include customized reports, unique purchasing processes, flexible scheduling, and effective client communications, including detailed, regular project updates. Our project management teams are highly trained and committed to delivering your project on time and on budget. Each project manager is directly involved with the science and logistics of your project so they can quickly address any queries. Q2 Solutions not only has the technology, systems, and processes to support your routine and complex projects, but we have 20+ years of experience and industry leading knowledge to provide key insights into the development of your product. Q2 Solutions can help you develop methods for detecting your small and large molecule therapeutics, and to provide industry leading assays for immunogenicity assessments. The result is reliable, high-quality data for better decision-making, faster, more efficient drug development, and higher quality regulatory submissions. Our scientific staff includes some of today’s world recognized scientific leaders that work closely with our customers to solve some of today’s bioanalytical and ADME challenges. Our experts have published over 100 publications in the past 10 years. Learn more about our experts and the exciting work they do to bring innovation to the drug development process.